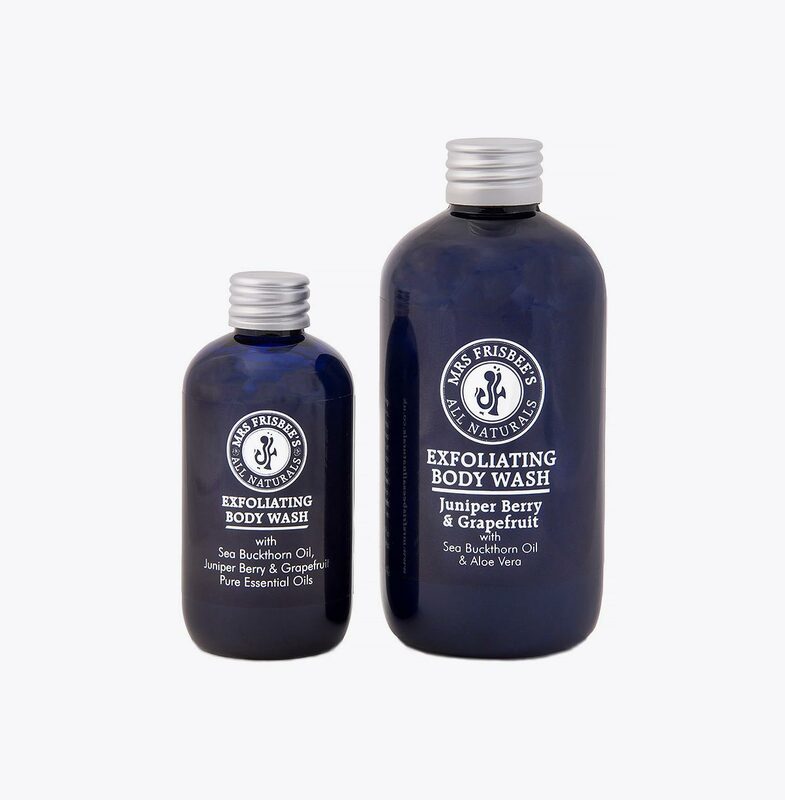 This gentle exfoliating body wash, with its fruity uplifting fragrance, will help remove dead skin cells. This gentle exfoliating body wash with juniper berry, grapefruit and sea buckthorn oil will help boost circulation, improve skin tone and the appearance of cellulite and detoxify your skin. The natural pumice will exfoliate away dead skin cells leaving your skin looking polished and renewed. Sea Buckthorn oil is a wonderful rich oil, known for its anti-ageing and cell regenerating properties. It contains an abundance of health-promoting bio-active components, making it rich in natural minerals and vitamins. Its properties help to revive, renew, replenish and protect the skin and are known to help improve the immune system. Sea Buckthorn has an antibacterial action, which inhibits the growth of staphylococci and other bacteria. It has 6 different fat soluble vitamins, 22 fatty acids, 42 kinds of lipids and 36 kinds of flavonoids and is the richest natural source of vitamin A (Beta Carotene) and Omega 7. Buy the two sizes together as a bundle for £16.95 and save £1.95. Directions: Rinse skin then apply exfoliating body wash to skin, massaging in a circular motion, then rinse. Safety: As this product contains pure essential oils, it is not recommended for use when pregnant. Naturally active ingredients: Aloe Vera, Sea Buckthorn oil, soap bark tree extract, Grapefruit, Juniper Berry. Natural exfoliating body wash made with juniper berry and grapefruit pure essential oils, sea buckthorn extract, aloe vera, soap bark extract. This natural blend of active ingredients can help boost circulation. It can also help improve skin tone, the appearance of cellulite and detoxify your skin. The natural pumice exfoliates away dead skin cells, leaving your skin feeling polished, renewed and silky smooth. Grapefruit – this essential oil is high in Vitamin C and is uplifting, energising and a great pick me up for people with S.A.D (Seasonal Adjustment Disorder). Grapefruit pure essential oil can help aid exhaustion. Refreshing and uplifting, it is also a great skin conditioner due to its toning, cleansing and astringent properties. Known to stimulate the lymphatic system, removing toxins from the skin and reducing the appearance of cellulite. 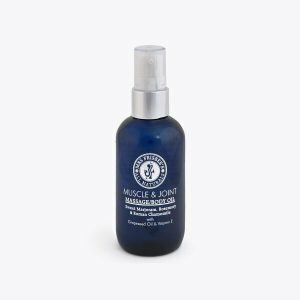 Juniper Berry Essential Oil – cleansing, detoxifying and fortifying. It helps excrete excess toxins from the body, so is great for cellulite and detox products. Sea Buckthorn – known as the new ‘Wonder Berry’ due to its natural health benefits and wonderful skincare and anti-ageing properties. Sea buckthorn has a unique composition of vitamins, minerals, nutrients and essential fatty acids, including Omega 3, 6, 7 and 9. Furthermore, its properties include healing, rejuvenating, anti-ageing, reviving, renewing, replenishing and protecting. Aloe Vera – soothing, healing and cooling, with natural anti-inflammatory, anti-microbial, anti-bacterial and anti-fungal properties. Aloe Vera is also reported to help promote cell growth and aid healing. Soap Bark Extract – this is a natural foaming agent which comes from the soap bark tree. Also known for its moisturising, soothing and anti-inflammatory properties. Great product, I use this all over my body and even on my face. Nice fruity fragrance, does exactly what it said it does and left my skin feeling great. I have also bought the smaller size to pack in my hand luggage for my holiday. Bought this product from mrs Frisbee’s web site excellent product exfoliates well very nourishing lovely fresh fragrance well recommend will be buying some more. SIZE – 100ml An exotic blend of Sandalwood, Patchouli and Ylang Ylang pure essential oils – relaxing, soothing and natural aphrodisiacs. SIZE – 100ml Relaxes tense muscles. The essential oils used in this blend can also help ease painful and inflamed muscles and joints.